Every spring in April, the Remodelers Council of Lincoln organizes the Tour of Remodeled Homes. This tour consists of 15 to 20 remodeled homes open for public viewing. If you’re thinking of remodeling or adding a new room or sunroom to your home, you’ll enjoy this weekend event! During the Tour of Remodeled Homes, you can walk through remodeling projects of many types (kitchens, bathrooms, basements, room additions and more). This is a great opportunity to talk with remodelers about your own special dream for your home remodeling project. Every August, the Remodelers Council holds their Scholarship Golf Tournament. Proceeds from this event go to the Lincoln Home Builders Care Foundation which awards scholarships to area students studying construction-related degrees. The Remodelers Council monthly meetings include guest speakers covering topics of interest to members or tours of remodeled businesses in Lincoln. 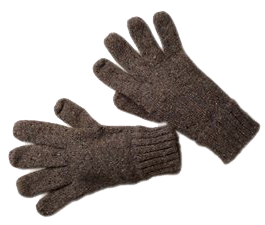 In 2010, the Remodelers Council began collecting hats, mittens and gloves for local elementary schools to give to students who don’t have cold weather gear. These items are collected at the annual Remodelers Christmas Party and are an easy way to give back to the community. 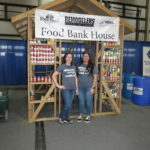 The Remodelers Council 17th Annual Helping Hands Food Bank House was a great success at the 2019 Nebraska Builders Home & Garden Show! We collected 3,556 pounds of food thanks to the generosity of the Home Show visitors. Since 2003, we have collected over 78,000 lbs. of food for the Food Bank!